I raise quality AQHA & NFQHA horses here in central Oklahoma, relocating here from Grants Pass, Oregon. Striving to produce the best of the foundation quarter horse breed. 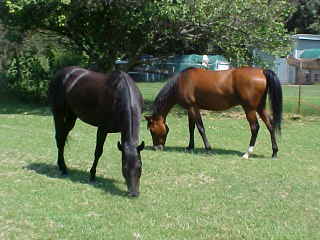 These horses are bred for cattle work as well as performance, ring work, pleasure and halter. The mares have the following bloodlines to pass on to their wonderful foals: SkipperW, Doc Bar, Peppy San Badger, Poco Tivio, Poco Bueno, Mr Gunsmoke, Skipa Star & Ed Echols.